What's Synthetic Pink sapphire stones? Synthetic Pink sapphire is the corundum family gemstones, it's corundum 3# rose pink color stone. checkerboard cut is one of popular cut for gemstones, the normal/traditional diamond faceted is with a 'table' for the top view of stone. Checkerboard cut is with several facets. with give the gemstone more unique for your designs. 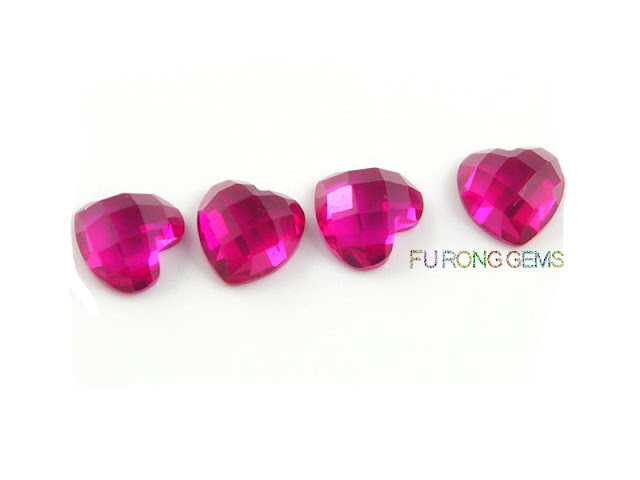 It's heart shape Synthetic pink sapphire stone in Checkerboard cut, with the flat polished bottom. The sizes can be made from 4x4mm-20x20mm. 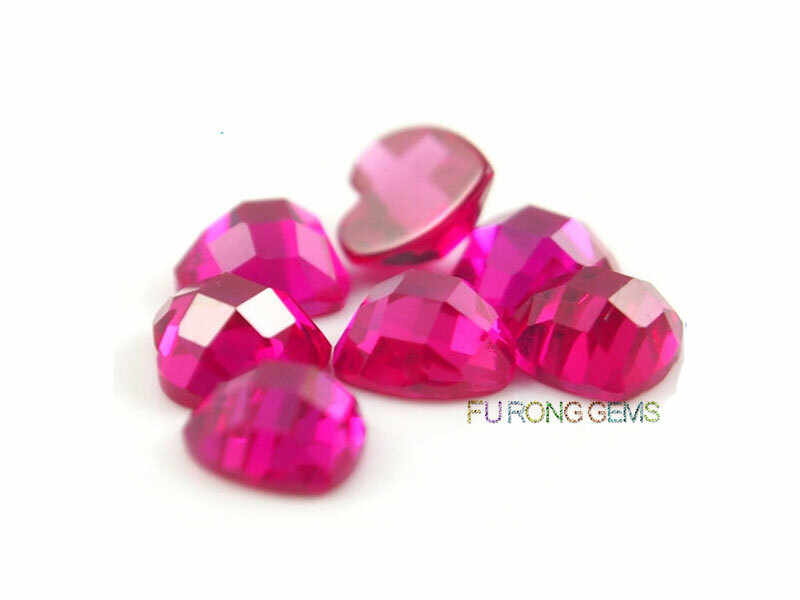 and FU RONG GEMS can make Synthetic Pink sapphire checkerboard cut stones in other shapes, such round, oval, marquise..etc.